Ning Feng is recognised internationally as an artist of great lyricism, innate musicality and stunning virtuosity. Blessed with an impeccable technique and a silken tone, his palette of colours ranges from intimate delicacy to a ferocious intensity. The Berlin based Chinese violinist performs across the globe with major orchestras and conductors, in recital and chamber concerts. Der international anerkannte Violinist Ning Feng zeichnet sich insbesondere durch seinen lyrischen Ton, seine intrinsische Musikalität und atemberaubende Virtuosität aus. Gesegnet mit meisterhafter Technik und seidenem Klang, reicht seine Farbpalette von intimer Zartheit bis zu wilder Intensität. Er tritt auf der ganzen Welt mit den bekanntesten Orchestern und Dirigenten, in Rezitalen und Kammermusikkonzerten auf. Recent successes for Ning Feng have included a return to Budapest Festival Orchestra with Iván Fischer in Budapest and on tour to China performing Dutilleux L'arbre des songes, tours with the Hong Kong Philharmonic Orchestra and van Zweden to Europe, Asia and Australia, as well as successful debuts with Los Angeles Philharmonic, Frankfurt Radio Symphony, City of Birmingham Symphony Orchestra and Royal Philharmonic Orchestra. In recital and chamber music he performs regularly with Igor Levit, amongst others, at many of the major festivals in Germany and elsewhere, including Kissinger Sommer, Heidelberg, Moritzburg, MecklenburgVorpommern, Schubertiade and La Jolla Music Society (California). Highlights of Ning Feng’s 2018/19 season include debuts with the BBC Philharmonic Orchestra and Simone Young, the National Symphony Orchestra and Gianandrea Noseda, the São Paulo Symphony Orchestra and Marin Alsop in Brazil and on tour to the Far East, the Wroclaw Philharmonic Orchestra and Giancarlo Guerrero, the Hallé Orchestra, the Bournemouth Symphony Orchestra and the Stuttgart Chamber Orchestra. He will return to the Konzerthausorchester Berlin to perform the Brahms Violin Concerto with Lawrence Foster in Berlin and on tour to China, the West Australian Symphony Orchestra with Karina Canellakis, the Tasmanian Symphony Orchestra with Fabien Gabel and the Shanghai Symphony Orchestra with Yu Long. 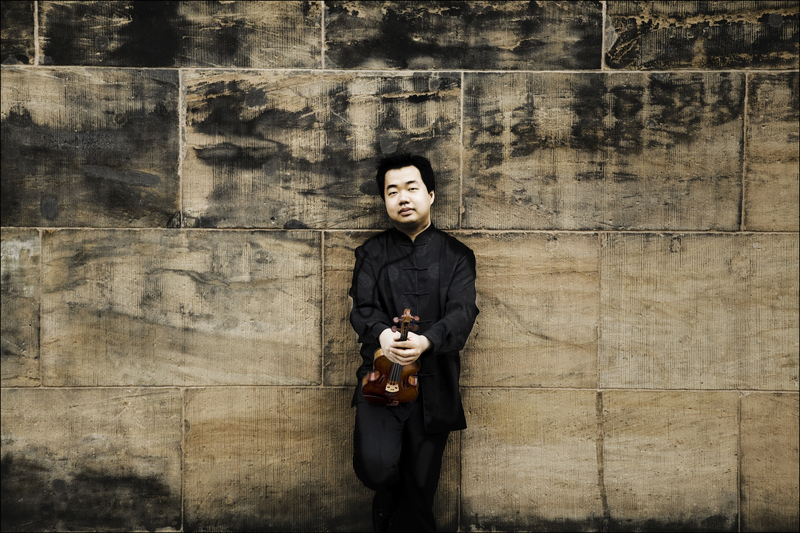 Chamber music highlights include Ning Feng’s debut at the Concertgebouw Amsterdam in an all-Schubert programme with Nicholas Angelich and Edgar Moreau, his return to the Wigmore Hall and concerts with the Dragon Quartet which he founded in 2012. Ning Feng records for Channel Classics in the Netherlands and his latest disc of the Elgar and Finzi Violin Concertos with the Royal Liverpool Philharmonic conducted by Carlos Miguel Prieto was released in Autumn 2018. His previous recording of Bach’s complete solo works for violin has already been hailed by Gramophone as “unlike anyone else’s… it’s the illusion of a freewheeling conversation projected from within that held me captive”. Previous discs include Tchaikovsky Violin Concerto and Bruch Scottish Fantasy with the Deutsches Symphonie-Orchester Berlin, ‘Apasionado’ with the Orchestra Sinfónica del Principado de Asturias featuring works by Sarasate, Lalo, Ravel and Bizet/Waxman, a recording of Schubert and Dvořák Quartets with his Dragon Quartet and two CDs of violin solo repertoire. Born in Chengdu, China, Ning Feng studied at the Sichuan Conservatory of Music, the Hanns Eisler School of Music (Berlin) with Antje Weithaas and the Royal Academy of Music (London) with Hu Kun, where he was the first student ever to be awarded 100% for his final recital. 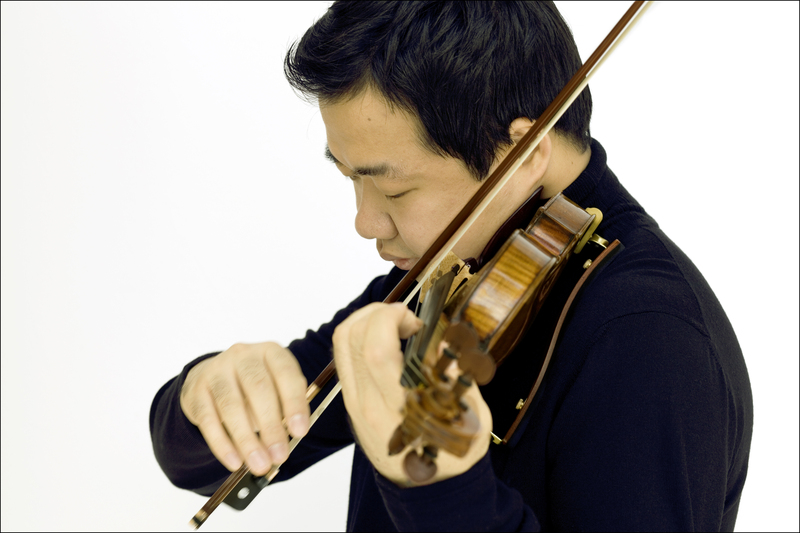 The recipient of prizes at the Hanover International, Queen Elisabeth and Yehudi Menuhin International violin competitions, Ning Feng was First Prize winner of the 2005 Michael Hill International Violin Competition (New Zealand), and in 2006 won first prize in the International Paganini Competition. Ning Feng plays a 1721 Stradivari violin, known as the ‘MacMillan’, on private loan, kindly arranged by Premiere Performances of Hong Kong, and plays on strings by Thomastik-Infeld, Vienna. 2018/19 season / 538 words. Not to be altered without permission. Zu den jüngsten Erfolgen des in Berlin lebenden chinesischen Geigers zählen die Rückkehr zum Budapest Festival Orchestra mit Iván Fischer in Budapest und auf Tournee nach China mit Dutilleux 'L'arbre des songes', Tourneen mit dem Hong Kong Philharmonic Orchestra und van Zweden nach Europa, Asien und Australien und erfolgreiche Debüts mit dem Los Angeles Philharmonic Orchestra, hr-Sinfonieorchester, City of Birmingham Symphony Orchestra und dem Royal Philharmonic Orchestra. In Rezitalen und Kammermusikkonzerten tritt Ning Feng unter anderem regelmäßig mit Igor Levit an einigen der größten Festivals in Deutschland und anderweitig auf. Hierzu zählen der Kissinger Sommer, die Festivals in Heidelberg, Moritzburg, Mecklenburg-Vorpommern, die Schubertiade und die La Jolla Music Society (Kalifornien). Zu den Höhepunkten der Saison 2018/19 zählen Debüts mit dem BBC Philharmonic Orchestra und Simone Young, dem São Paulo Symphony Orchestra und Marin Alsop in Brasilien und auf Tournee durch den Fernen Osten, dem Wroclaw Philharmonic Orchestra und Giancarlo Guerrero, dem Hallé Orchestra, dem Bournemouth Symphony Orchestra und dem Stuttgarter Kammerorchester. Ning Feng kehrt zum Konzerthausorchester Berlin zurück, um unter Lawrence Foster das Brahms Violinkonzert in Berlin und auf Tournee in China zu spielen. Außerdem wird er in Australien mit dem West Australian Symphony Orchestra und Karina Canellakis, sowie dem Tasmanian Symphony Orchestra mit Fabien Gabel auftreten. In seiner Heimat China kehrt er unter der Leitung von Yu Long zum Shanghai Symphony Orchestra zurück und ist Artist-in-Residence beim Shenzhen Symphony Orchestra. Zu den Höhepunkten in der Kammermusik zählen Ning Fengs Debüt im Concertgebouw Amsterdam mit einem Schubert-Programm gemeinsam mit Nicholas Angelich und Edgar Moreau, seine Rückkehr zur Wigmore Hall und ein Auftritt in Eindhoven mit dem 2012 von ihm gegründeten Drachenquartett. Im April 2019 wird er beim Festspielfrühling Mecklenburg-Vorpommern mit dem Künstlerischen Leiter, Daniel Müller-Schott, und anderen Musikern Kammermusikkonzerte spielen. Ning Feng nimmt in den Niederlanden für die Channel Classics auf und seine neueste CD, Bachs Partiten und Sonaten für Violine Solo, die erste Einspielung eines chinesischen Geigers sämtlicher Werke Bachs für Solovioline, wurde von Gramophone mit den folgenden Worten gelobt: „Im Gegensatz zu anderen…ist es die Illusion einer freilaufenden Unterhaltung aus dem Inneren, die mich gefangen hält“. Seine Aufnahme der Elgar und Finzi Violinkonzerten mit dem Royal Liverpool Philharmonic Orchestra unter der Leitung von Carlos Miguel Prieto wird im Herbst 2018 erscheinen. Zu den früheren CDs gehören Tschaikowskys Violinkonzert und Bruchs Schottische Phantasie mit dem Deutschen Symphonie-Orchester Berlin, 'Apasionado' mit dem Orquesta Sinfonica del Principado de Asturias mit Werken von Sarasate, Lalo, Ravel und Bizet / Waxman, eine Aufnahme von Schubert und Dvořák Streichquartetten mit dem Drachenquartett und zwei CDs mit Solo-Repertoire für Violine. Geboren in Chengdu, China, studierte Ning Feng zunächst am Sichuan Konservatorium für Musik, dann bei Prof. Antje Weithaas an der Hochschule für Musik „Hanns Eisler“ in Berlin und bei Hu Kum an der Royal Academy of Music in London, wo er als erster Student in der 200-jährigen Geschichte der Akademie für sein Abschlusskonzert die Höchstpunktzahl erhielt. Preisträger zahlreicher internationaler Wettbewerbe wie dem Joseph Joachim, dem Königin Elisabeth und dem Yehudi Menuhin Wettbewerben, gewann er erste Preise 2005 beim Internationalen Violinwettbewerb Michael Hill in Neuseeland und 2006 beim Internationalen Violinwettbewerb “Premio Paganini”. Ning Feng spielt die als “MacMillen” bekannte Stradivari Violine aus dem Jahr 1721, eine von Premiere Performances of Hong Kong arrangierte private Leihgabe. Er spielt auf Saiten von Thomastik-Infeld, Wien. Spielzeit 2018/19 / 600 Wörter. Keine Änderungen ohne vorherige Genehmigung. Ning Feng surprised with a direct, highly virtuosic approach, and after two dazzlingly masterful encores, he was justifiably celebrated. Ning’s cool, slippery sound soared like a bird, the triplets beautifully shaped, the double-stopping in the Kreisler cadenzas pure and true, his vibrato lightly applied, just another colour in the palette. Ning Feng displayed a gorgeous light touch with faultless intonation and deft bowing married to a sweet tone. The melodic lines were all smooth and beautifully shaped.